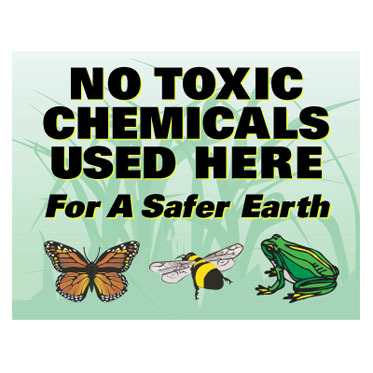 Help make the earth a safer place and show with pride that your lawn is toxic chemical free with this colorful, laminated lawn sign. Includes shipping. (Stand not included).